Leica M9 and Leica M9-P are the smallest full frame camera today. After getting one of those, it is time to find a nice bag for it. 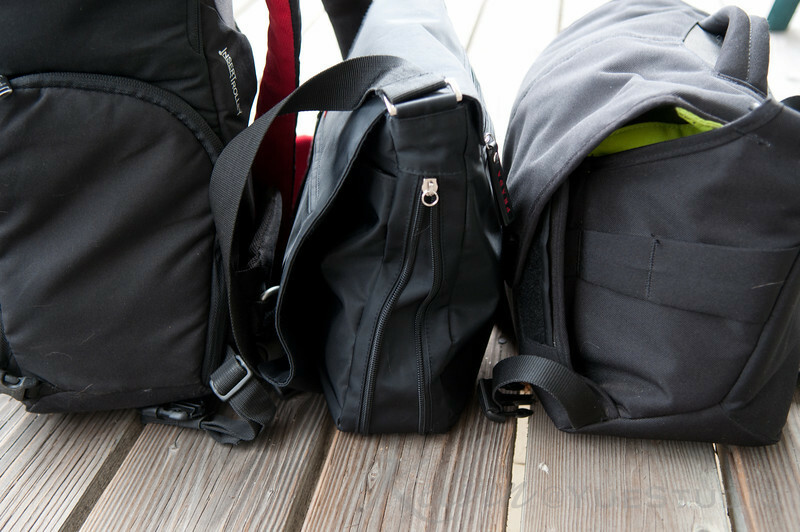 There are tons of high quality "Leica" style bags, examples are listed here. bu personally, I want a small camera bag that does not look like a camera bag. And when I go out, I don't want to look a tourist or a photographer. I want to be able to blend into the crowd. 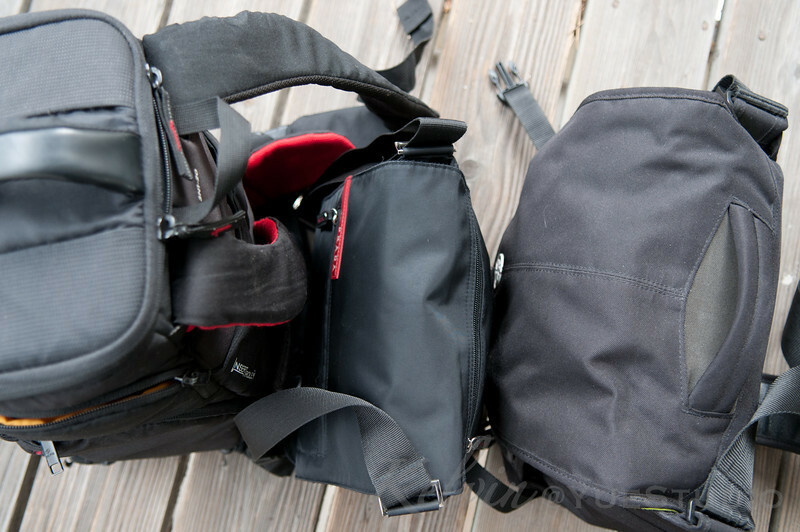 Currently, I own a couple of other camera bags for my equipments. The first bag I bought is the Kata DPS-3N1-20 3in1 Sling Backpack. It is a nice bag and it has a lot of room for my equipments. However, I always got stopped by the security at the museums in San Francisco for carrying this bag. They said it is too big to wear it on my back inside the museum and I can only hand-carry it inside. 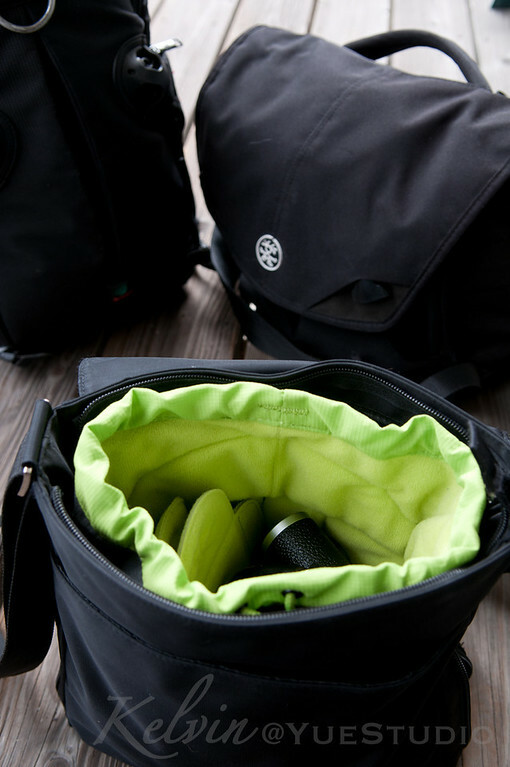 It is not a bag built for hand-carry and I am tired of getting of that, so I now only use this bag for hiking or outdoor shoot. Then I bought the 6 Million Dollar Home bag from Crumpler. It is smaller than the Kata and it is wore on the shoulder instead of the back. I haven't never been stopped inside a museum after using this bag. This bag is big enough to hold my Nikon D300 with the MB-D10battery pack attached. Two lenses: 17-55 f2.8 and 70-200 f2.8 and a SB-800 flash. However, this still looks like a camera bag and it has too much room for the Leica. Retrospective 5 by Think Tank. Oskar's One Day bag by Artisan&Artist. All the reviews on them are pretty good but I want something that is more "stylish." 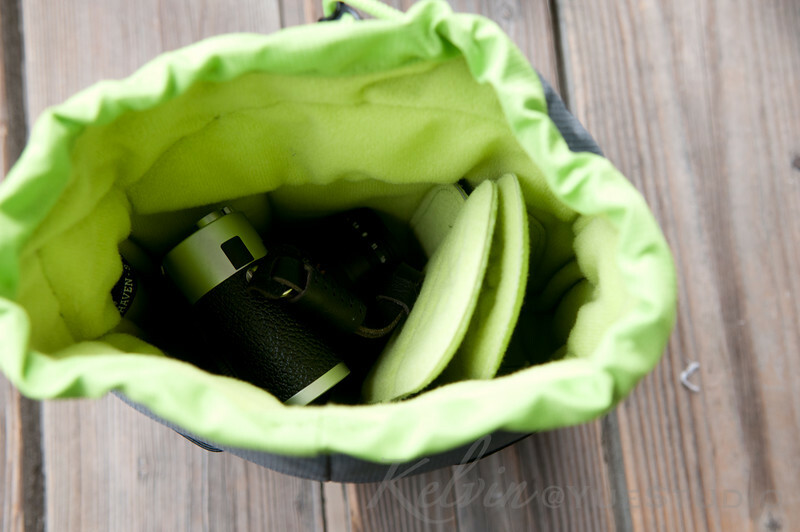 Then I read about people using their own bag as camera bag by putting an insert like this inside. The dividers inside the one from Domke are fixed but I found Haven Camera Pouch from Crumpler. 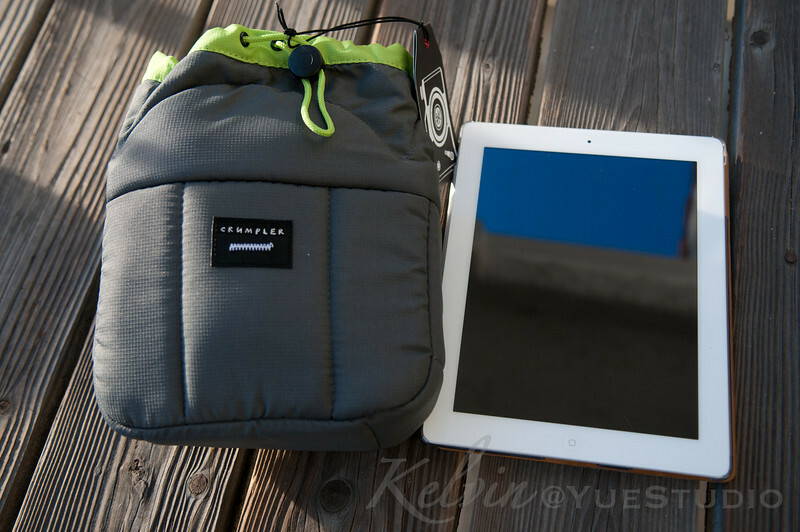 It is more expensive than the one from Domke but it seems to be better built and has more pockets. I went to their store in San Francisco to check it out. They let me trying it out with the camera and my bag. The small size version is a perfect. It also has extra pockets in the front for cables and memory cards. The dividers inside are adjustable and removable. 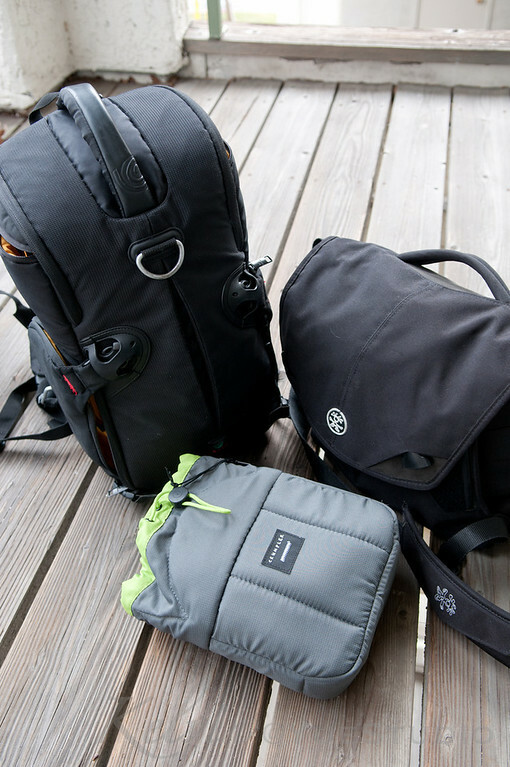 It is well built as any other Crumpler products. I am sold. 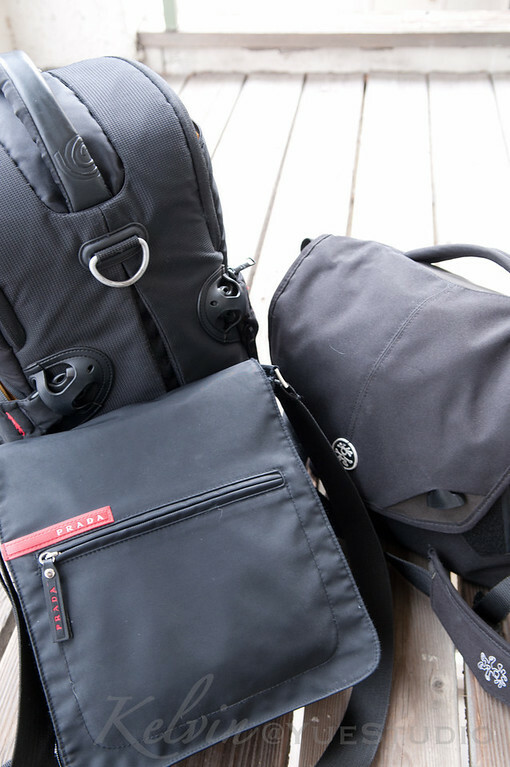 The regular bag in front of theKata 3N1-20and the Crumpler 6 Million Dollar Home. Wow! That is brilliant! 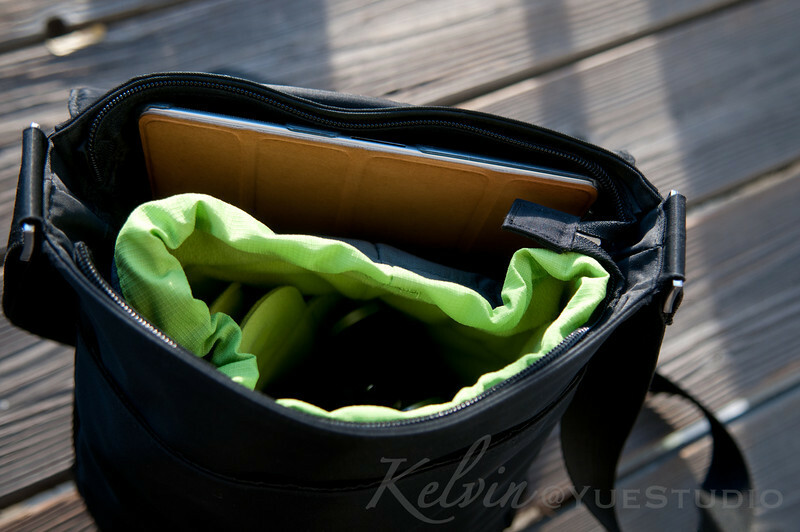 And way more stylish than a regular camera bag too I must say! I might try this too! Thank you so much for sharing!